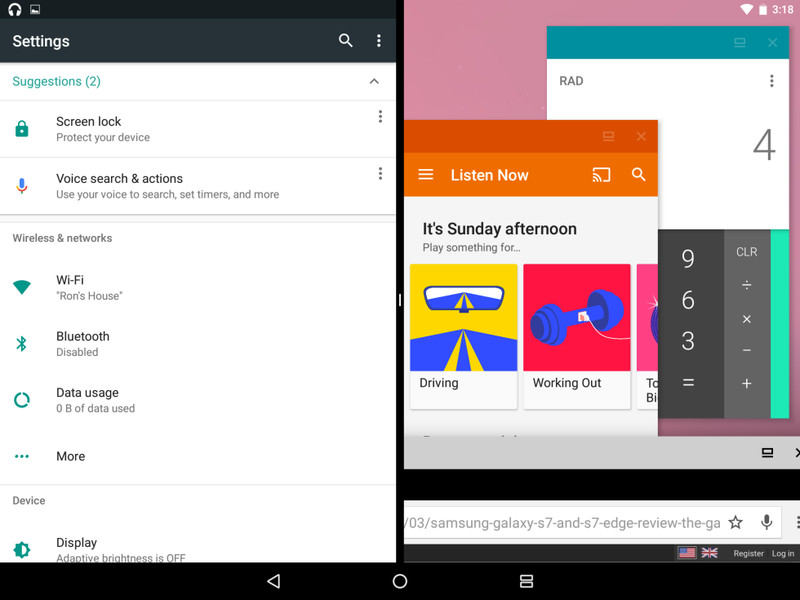 As it turns out, Google’s Multi-Window in Android N isn’t the only new multi-tasking functionality the Android team has added. 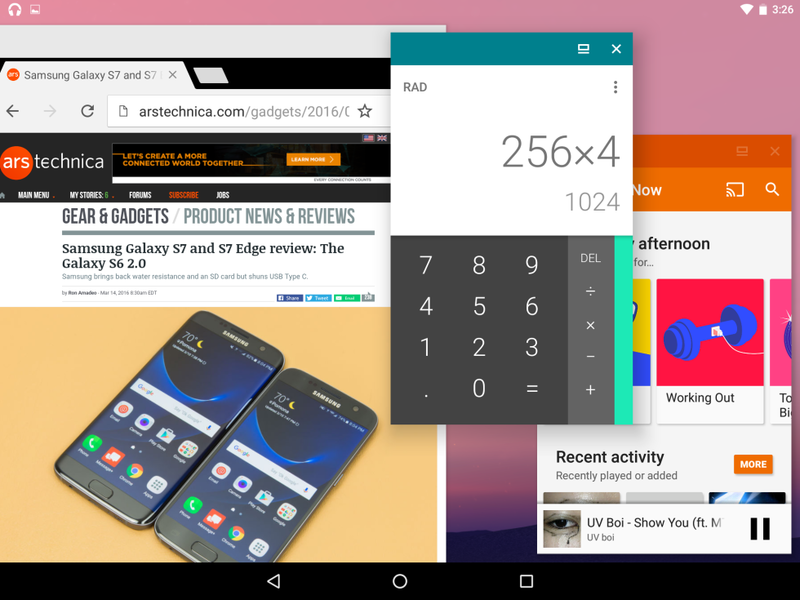 If you read closely in the Android N Multi-Window Support section for the first preview, Google calls out an additional “freeform” mode that lets users “freely resize” activities, which sure sounds like Google has floating app support on the way where you can resize individual apps. Arstechnica also found references to “freeform” buried in code inside Android N’s framework-res.apk, before figuring out how to enable it and take the floating pre-alpha feature for a spin. You can see some of this in the couple of screenshots below, but this new “freeform” option allows you to run more apps at a time than what you would see in the Multi-Window, dual panel/screen setup. As Ars notes, the mode is pretty rough around the edges right now, with graphical issues, no easy way to show apps that could be hidden behind other apps, and no way to adjust both height and width of an app at the same time. 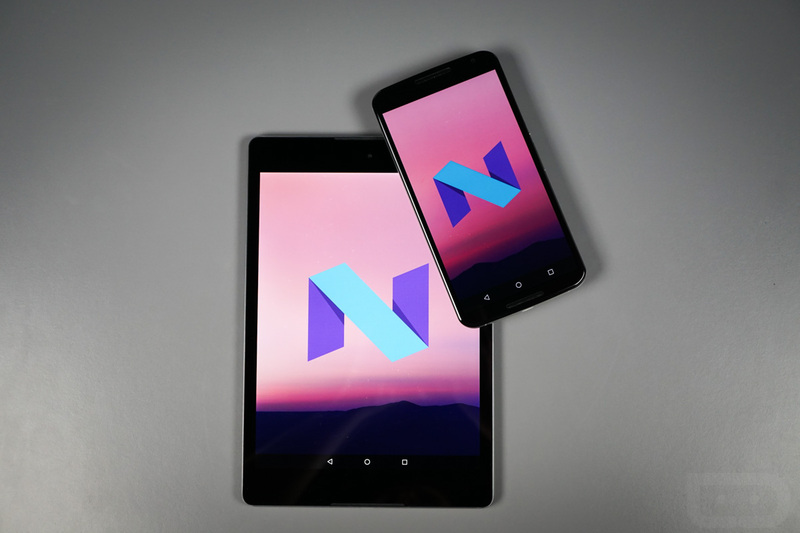 Google will also still need to allow Android RAM management to handle a true multi-window experience, which means allowing apps to continue running when they aren’t in focus. With that said, the foundation is there, for the most part. Once activated, you’ll see icons in the app switcher screen next to the “X” for each app that will launch an app into “freeform.” From there, you can drag apps around, roughly resize, and jump into others through a tap. 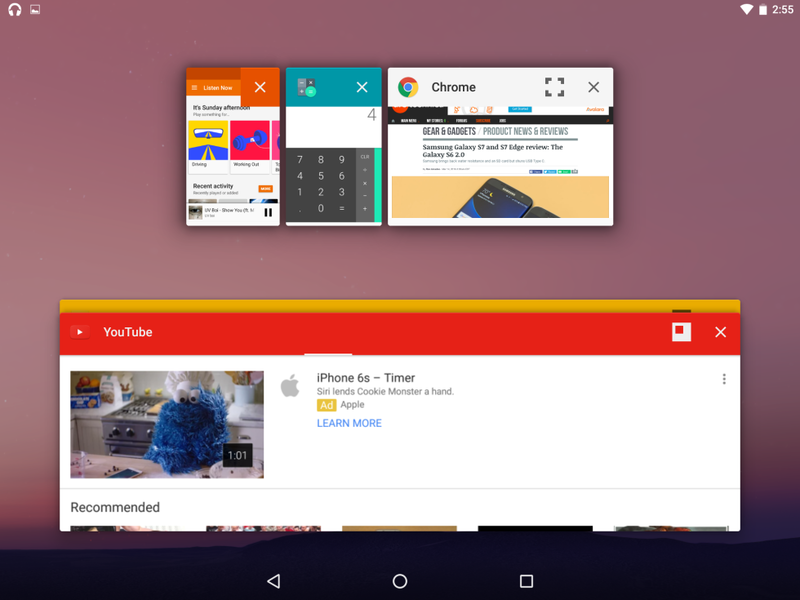 It looks like you can jump into Multi-Window, then load additional floating apps within a single side of Multi-Window, as well. There is even mouse support as well, which could be some sort of sign that Android as a desktop OS isn’t just a made up journo dream. Again, the functionality is there, but it needs a lot of work from the Android team before it becomes something you should really give some time to. If you are interested in tinkering with it, though, head over to the source link for the adb command. Oh, you’ll need a custom recovery too.